This cooling apparel vest comes With 10 reusable cold packs. 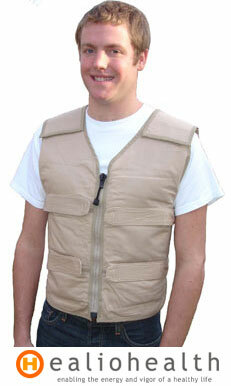 Vest is fully adjustable with elastic hook and loop straps. Lightweight and ideal to wear under or over clothing. One size will fits all. Vests with Elastic Hook and Loop is available in khaki color.